Huge congratulations to our very hardworking #PLEnterprise team who won the local heat today and now get to represent #SCAFC. They have given up hours and hours of their own time over the past 4 weeks to come up with a fantastic pitch based around autism inclusion at matches. 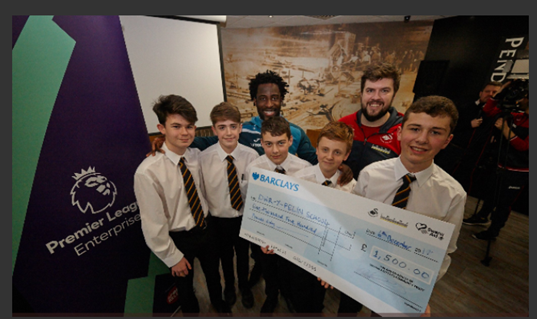 Their presentation was superb and they were a credit to themselves and the school all day yesterday at the Liberty Stadium. Plus, they got to meet Trundle and have a Q&A with Bony! The hard work doesn’t stop here though, as they now progress to the next heat which takes place in Southampton on January the 23rd/24th. They will be involved in sessions over the next week to perfect their bid with the help of Swans staff. Well done and pob lwc for the next round!